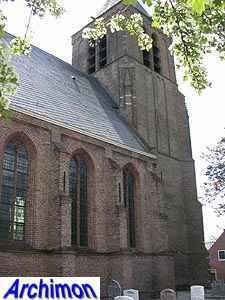 'Oudkerk' in the name of this place means Old Church, and must have been added when a second church was built in Giessen-Nieuwkerk ('Giessen New Church'), the current Giessenburg. 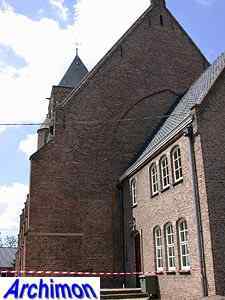 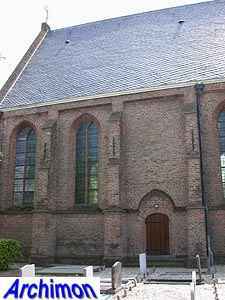 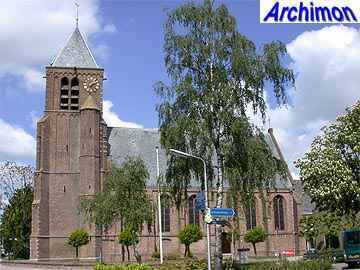 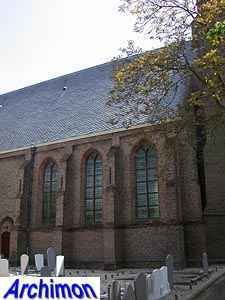 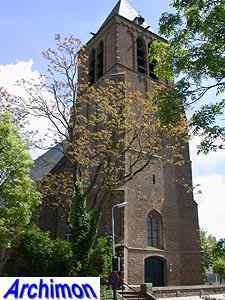 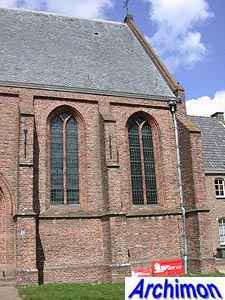 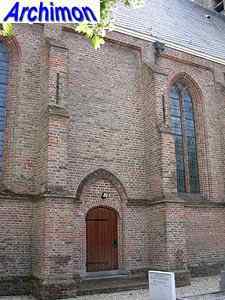 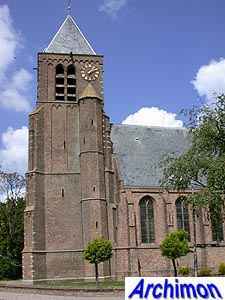 Giessen-Oudkerk is also known as Giessen-Oudekerk, with an extra letter. 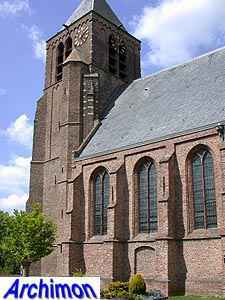 The Old Church was built between 1350 and 1400. 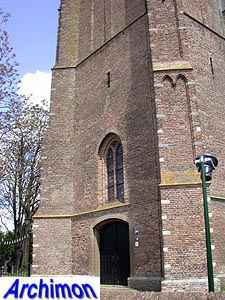 In the 15th century the tower was built. 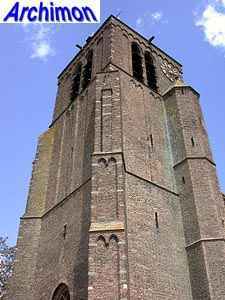 This tower is in Campine Gothic-style. 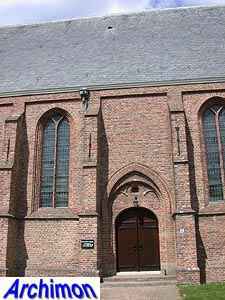 This variant of Brabantine Gothicism has its origins in the Campine region but was obviously used outside it as well. 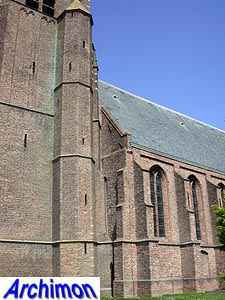 The heavy diagonally positioned buttresses and the undeep niches with 'Romanesque' decorations are the most obvious features of that style present here. 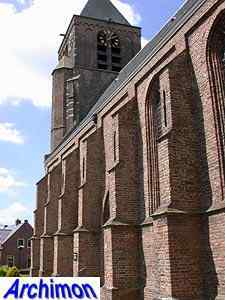 The choir, which must have been fairly tall, was demolished in 1838.